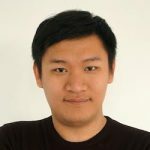 Bio: Tsung-Hsien (Shawn) Wen is a co-founder and Chief Scientist of PolyAI, a London-based startup looking to use the latest developments in NLP and ML to create a general platform for deploying spoken dialogue systems. He holds a Ph.D. from the Dialogue Systems group, University of Cambridge, where he worked with Professor Steve Young. His research focuses on language generation and end-to-end dialogue modelling, specifically in learning to generate responses for task-oriented dialogue systems. He was the tutor of the ""Deep Learning and NLG"" tutorial at INLG 2016 and has given invited seminars to research groups at Google, Apple, Xerox, and Baidu China. Before PolyAI, He was the invited lecturer for Samsung's corporate training course in Warsaw, a research consultant at IPSoft Amelia team, and a research intern at Google Brain. He received best paper awards at EMNLP 2015 and SigDial 2015.